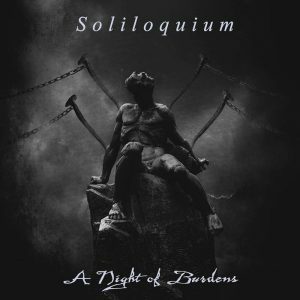 “A Night of Burdens” is the third release by Swedish death/doom metal band Soliloquium. Familiarly known as the “cover EP”, it contains two death/doom metal style covers and one original acoustic track. “Perpetual State of Panic” was a very shaky song to make, as it was the first purely clean vocal song in Soliloquium. It turned it out well; a very simplistic acoustic song with focus on conveying emotion. “Forever Failure” is quite faithful to the original, with the exception of switching the more gruff clean vocals for growls. The “Zombie” cover is where the magic happens. It’s one of my proudest moments as a musician to this day, and it’s a polarizing song. Most people either love it or hate it. Maybe that’s what happens when you turn 90’s mainstream pop into desperate death/doom metal. Soundwise, I really like how this release turned out. The production is thunderous and fits the songs. It’s not as emotionally striking as the other releases, but it’s quite natural when it’s a cover release. I was using an ESP Ltd F-400FM tuned to D for the Paradise Lost cover. For “Zombie”, I used my 7-string Jackson Dinky tuned to B. “A Night of Burdens” also features the first appearance of acoustic guitars in Soliloquium. 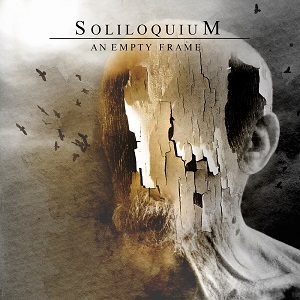 You can download or stream the release for free from the Soliloquium Bandcamp page. Mixed and mastered at Forlorn Halls Recordings.